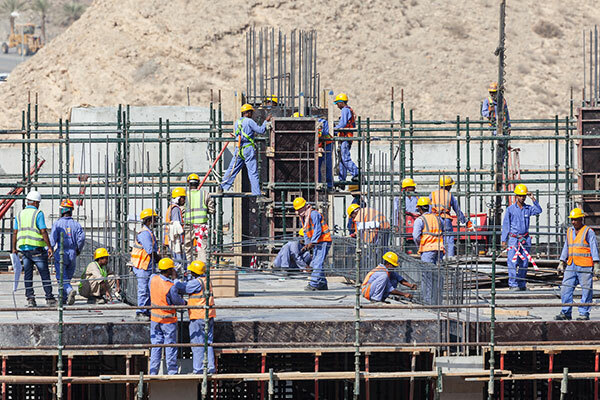 Labour compensations in the UAE rose to circa Dh60 billion ($16.3 billion) during the first nine months of 2018, a growth of 9.5 per cent from Dh54.8 billion during the corresponding period of 2017, a media report said. These include the salaries and wages of employees and their benefits in cash and in kind, reported state news agency Wam, citing statistics from the Ministry of Finance. The growth reflects the good living standing enjoyed by UAE citizens and residents alike and the level of social welfare that earned the country a prestigious international status across international financial indicators that measure welfare standards globally. The UAE has been rated number one globally in 50 indices covering vital community and service sectors, according to the Global Competitiveness Index 2017-2018. The UAE led in the region and the world in various indices, including the quality of government decisions, the government’s ability to adapt to changes, the effectiveness of government spending, and investment attractiveness as well as the education sector. They also included public-private partnerships, development and application of technology, the quality of tourism infrastructure, corporate digitalisation, gender equity, and tolerance with foreigners. According to the MoF figures, labour compensations picked up from Dh19.322 billion during Q1 2018 to Dh20.00 billion in Q2. In Q3 they rose to Dh20.62 billion, a growth of 3.1 per cent over the preceding quarter. During the first nine months of 2018, the labour compensations accounted for 21.7 per cent of the consolidated government spending, which includes federal and local government expenditure.